L.A. Theatre Works and BritWeek LA will screen the National Theatre’s production of Othello, broadcast in HD, at UCLA’s James Bridges Theater on May 4 at 2:00 pm. The event is part of BritWeek LA’s 2014 schedule of events. 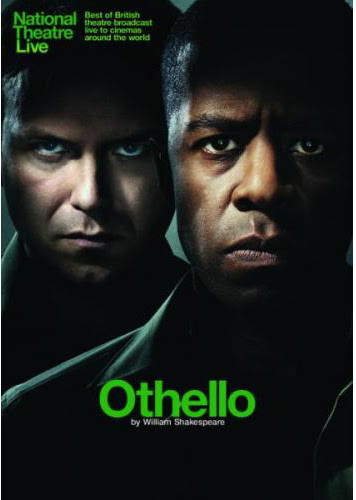 Olivier Award-winning actors Adrian Lester (Henry V at the National Theatre) and Rory Kinnear (The Last of the Haussmans, James Bond: Skyfall), star as Othello and Iago, respectively, directed by Nicholas Hytner (Timon of Athens, One Man, Two Guvnors). In Shakespeare’s play, Othello, newly married to Desdemona, is appointed leader of a major military operation. Iago, passed over for promotion by Othello in favor of the young Cassio, persuades Othello that Cassio and Desdemona are having an affair. The screening will take place at the James Bridges Theater, UCLA School of Theater, Film and Television, 235 Charles E. Young Drive in Los Angeles, 90095. Tickets are $20 for regular seating; $25 for premium seating; and $10 for students with valid student ID. (310) 827-0889 or www.latw.org.